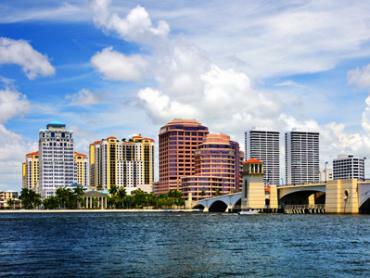 The deep sea fishing Jupiter has on its doorstep is nothing less than enviable. 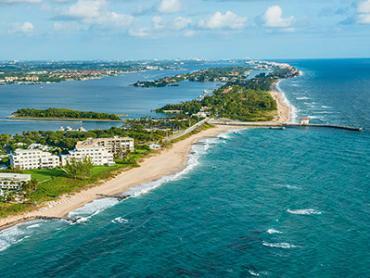 Nowhere in mainland Florida has easier access to the gulf stream than this part of Palm Beach County. This makes it one of those fortunate destinations that can legitimately offer deep sea fishing within just a few miles of the coastline. 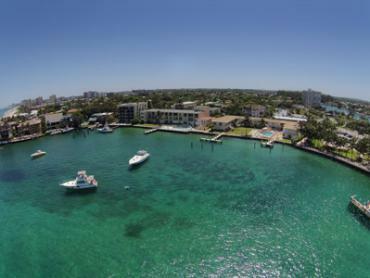 We don't know about you, but now we understand why Jupiter is famous as one of the happiest seaside towns in Florida. 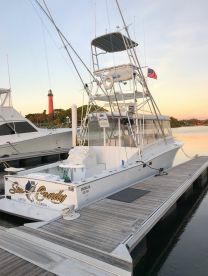 Go deep sea fishing out of Jupiter, Florida, and you could be hooking up on anything from a Sailfish or White Marlin to a Swordfish, with all types of bright and beautiful sportfish in between. 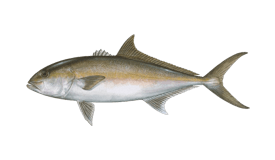 These are the types of fish that sportfishing dreams are made of, and they’re all available less than 20 miles offshore, depending on the time of year you are fishing. 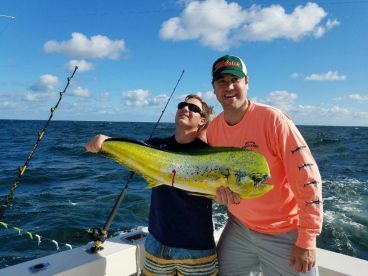 Most deep sea fishing charters in Jupiter will take you fishing 10-14 miles from the Inlet to catch species such as Wahoo, Kingfish, Blackfin Tuna, Mahi Mahi, and Sailfish. 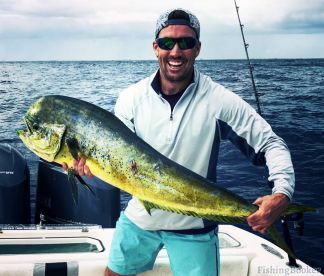 Full day trips can get you traveling slightly further, usually a little to the north as you merge with the famous ‘Sailfish Alley.’ As well as Sailfish, these longer trips could be your chance to catch a Yellowfin Tuna or even a Blue or White Marlin. Meanwhile, if you want to put the ‘deep’ into deep sea fishing, look no further. Dedicated Swordfishing charters are somewhat of a specialty in these parts. These will usually take you 16-20 miles offshore and will see you heaving these huge Billfish out of the very depths of the water. But it’s not all about the pelagics. 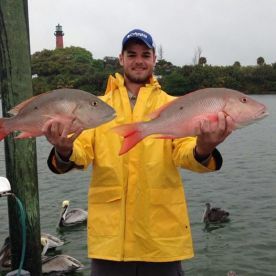 Blue water fishing out of Jupiter can also involve deep dropping for exotic bottom species such as Yellow Eye Snapper, Tilefish, and enormous Groupers. 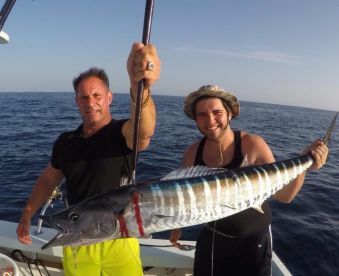 While this is a relatively rare choice for deep sea charters in these rich gulf stream waters, it can be a good addition to a longer offshore fishing trip. The most iconic technique used by local anglers is kite fishing with live bait. This technique was pioneered by sports fishermen in the Jupiter and Palm Beach area and is so effective it took the fishing tournament scene by storm when it was first invented. 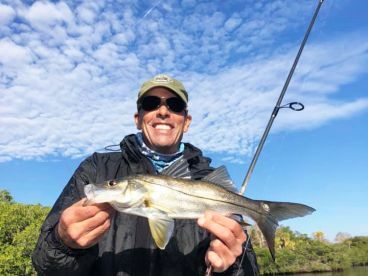 The reason it works so well is that it puts enticing bait fish right on the surface of the water, rather than slightly below, which is unavoidable when trolling. This positions it just where the Sailfish strikes. 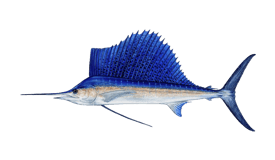 Goggle eyes and blue runners are the most common bait, and you'll find the majority of charters in Jupiter using one or the other. Kite fishing with several lines in the water at the same time can entice a whole school of Sailfish, frequently resulting in not just double hookups, but even three or four Billfish being caught at the same time. Kite fishing isn’t just for Sailfish, though. It’s also been proven deadly for Mahi Mahi and Tuna, which have the added bonus of making a good meal for you, too. Of course, all these species can also be caught by trolling. 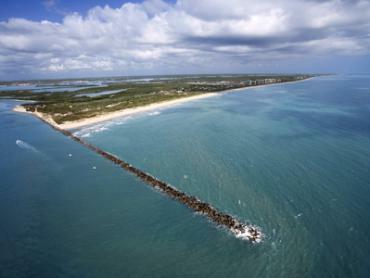 Deep sea fishing out of Jupiter Inlet has something to offer sports fishermen all year round. 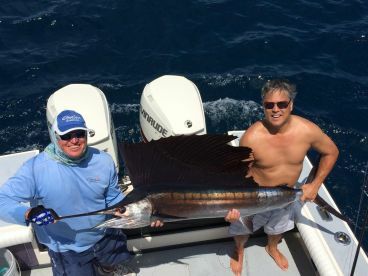 That said, the Sailfish migration is probably the most talked-about event of the year. These speedsters of the sea usually arrive in late October/early November and peak until January, sticking around until about March. 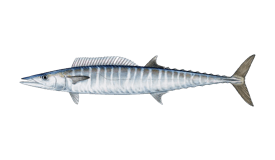 This is also the best time of year to target Wahoo and Blackfin. That’s not to say it’s not worth fishing out of Jupiter in the summer. Warmer sea temperatures invite first White and then Blue Marlin to these parts. Mahi Mahi and Yellowfin Tuna join them. 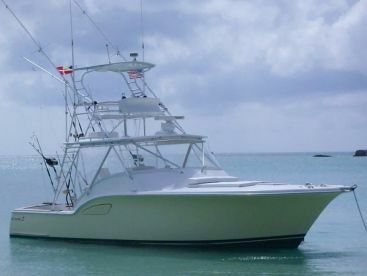 Take a weekend out on the water and combine fishing for them with taking a boat ride to the Bahamas. You won’t ever forget it!